Time and time again in this country, doctors and various other ‘experts’ make decisions that are obvious lunacy to anyone with a normal, functioning brain. And inevitably, it’s never these morons who end up paying the price but rather, innocent members of the public. In yet another such incident, a pregnant woman has been murdered by a psychiatric patient who was released after doctors decided he was ‘exaggerating’ his mental problems. 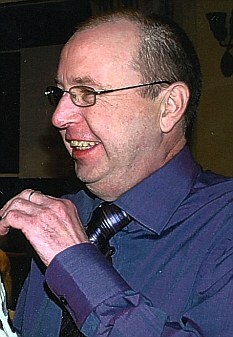 Alan McMullan, 54, stabbed 21-year-old Claire Wilson to death as she walked to work on a Sunday afternoon. She screamed and collapsed as her attacker walked away, a jury has now heard. And here’s the part that will make you seethe: one year earlier the killer had on not one, not two, but on three occasions handed himself into police while armed with a knife, claiming to hear voices commanding him to murder someone! Each time he was admitted to hospital – and later released after treatment. On the third occasion doctors decided he was ‘exaggerating his symptoms to gain admission to hospital’, Hull Crown Court has heard. After committing the murder, McMullan told police he was angry he had not been given ‘appropriate treatment’ by the authorities. Miss Wilson, the victim, was six months pregnant, when she was stabbed to death on June 7 last year. Personally, I think that every single ‘doctor’ who opted to release this man into the general community, should be struck off and then charged with reckless endangerment, if we have such a category of crime here in the UK. McMullan went to the police on June 2, 2008. He was carrying a knife, complained of feeling unwell and mentioned the possibility of killing somebody. He was admitted under the Mental Health Act and seen by a consultant psychiatrist. McMullan was discharged from Diana Princess of Wales Hospital in Grimsby after 14 days, told to stop drinking, continue with his medication and attend an outpatient appointment. On June 19 the same thing happened again. This time he was admitted for 21 days and released with medication. The third time he was admitted to the psychiatric unit was July 21 and this time doctors decided he was ‘exaggerating’.